Few days ago,the founding congress of Chinese Personalized Customization Alliance was held in Guangzhou. 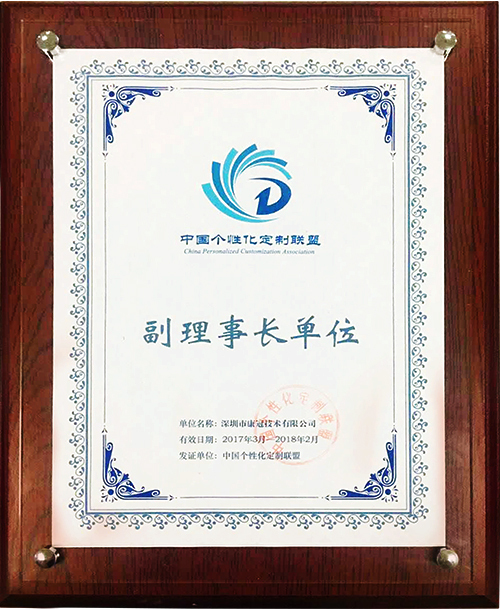 KTC Group was elected to be Vice-Director Unit of Chines Personalized Customization Alliance and was granted certificate by alliance. Chinese Personalized Customization Alliance is a national,comprehensive,leading,non-profit community organization,which is voluntarily initiated by CEPREI under the support of Ministry of Industry and Information Technology,jointed by relevant enterprises,colleges and universities,scientific research institutions,financing institution and industry associations,in accordance with”equality,open,cooperation,double-win” principle. KTC Group,as a well-known manufacturer in the field of flat panel display product,provide differentiated customization services to customers,which is its feature and strength. Always following the business philosophy of “dedicated service,quality foremost”,KTC Group is committed to strengthen technology innovation and provide high quality products and services to satisfy customers’demand across the world. As the member of Vice-Director Unit of Chines Personalized Customization Alliance,KTC Group will made a positive effort in many respects,including fully carrying out the strategic deployment of “Made in China 2025”,speeding up the coordinated development of manufacture and service,driving the innovation of business model and format. At the same time,relying on the platform of council,KTC will boost communication and contacts with other famous enterprise at home and abroad in the some new fields,including personalized customization,providing powerful support for the transformation and upgrading of manufacture.